It only took 2 days and there were tears. Tears of disappointment, guilt, pressure, frustration and pain. My pain in my stomach grew so bad that I could barely walk 100m without having to stop. I wasn’t eating let alone drinking enough to warrant a bike ride, and the pain just wouldn’t let me, so i didn’t ride Tuesday. After a movie yesterday afternoon, Matt knew I was trying to be brave and hide the pain but it only took a few words to allow the tears to flow. I felt disappointed how my time in Perth was not used as I had hoped, to put into practice all the great things I learnt while I was away last year, like being present. I fell into my old ways. Lists were running through my head before I even woke up each day. I tried to control situations and people to get things done instead of allowing to them occur organically and spontaneously. I became so focused on work and earning enough money that I even forgot to do my silly songs and dances I tend to do through the wards. I noticed when I was with people I wasn’t even listening to what they were actually saying. I only went surfing a few times in Perth, which is sad as its something I love to do. I felt like the life was drawing out of me, especially in the last two weeks in Perth. But now as I sit at Flat Rock Beach today I am happy and at peace. My laughs and giggles are returning as with my energy. I laugh at how we are on this amazing journey of life and how I pull off the most craziest and wonderful situations. Dad said to us a few days ago, ” you guys must be the arsiest couple I know” and he’s right we get everything we want. Things weren’t as bad as what I thought and felt they were when in Perth. A little change in my perception removed the guilt and sadness and left me with acceptance. I guess the moral of this story is have a cry and then realise that things are never as bad as they seem. It sounds simple, but in a split second everything can change. 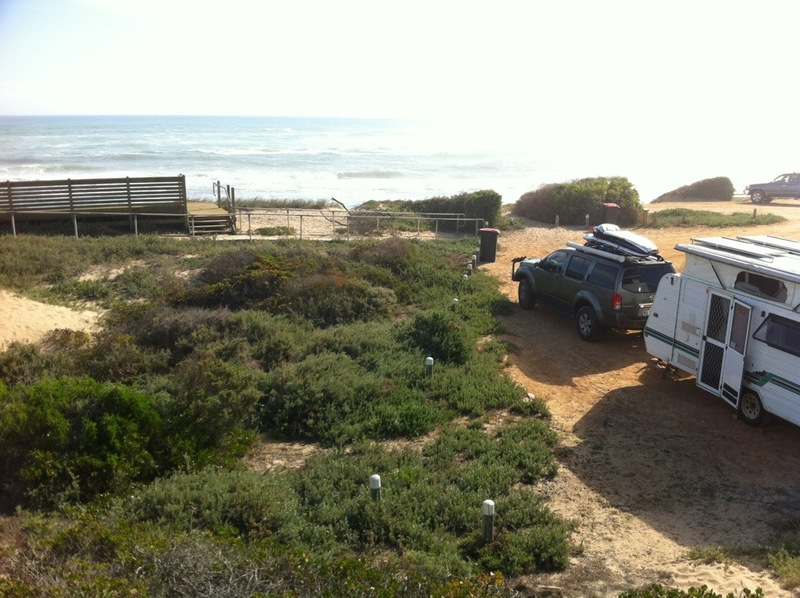 The above photos are on Flat Rock Beach where we are doing some free (illegal) camping tonight. There’s a toilet block here and dogs are allowed. I’m sure Matt will be getting some spectacular sunset shots. 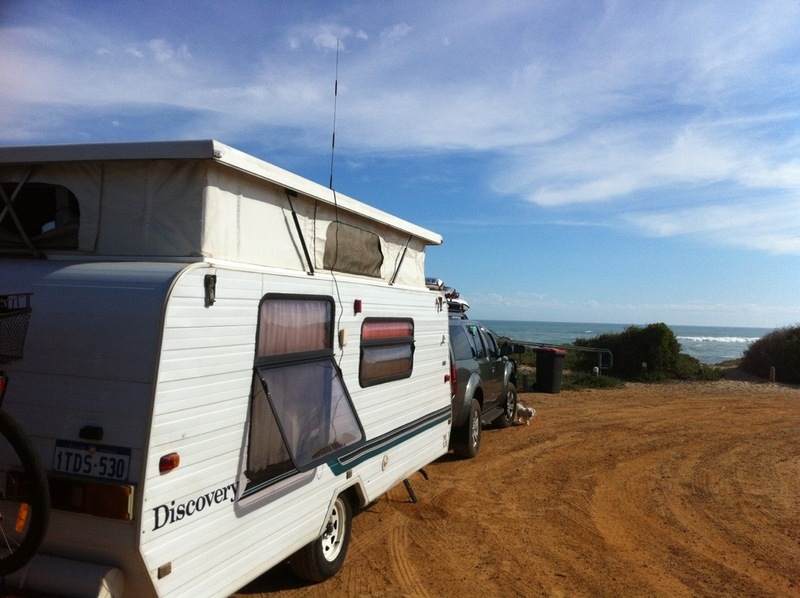 This entry was posted in Australia, Self Development and tagged Dongara, Flat Rock Beach, Free camping, travelling with pets. Bookmark the permalink. It seems the easier option is to leave again, however your ‘stuff’ is always going to follow with you. For me its about trying to find peace no matter what is going on in life. I hope to see you guys during our Aus Adventure. 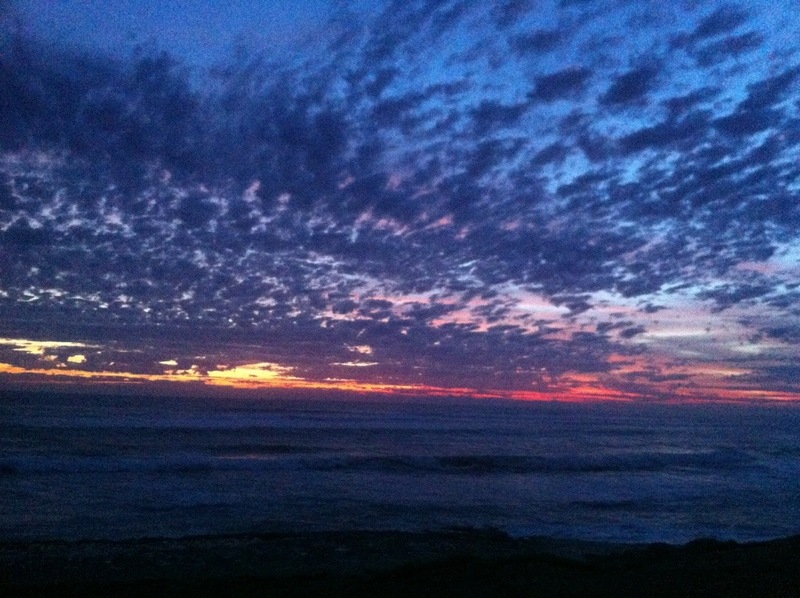 That sunset would make everything better. Love reading your story. That caravan looks awesome! Every day we are experiencing gorgeous sunets, and for the past few days we have been up with sunrise and it is equally spectacular. It always puts a smile of my face.